George Washington's forays into the Ohio country shaped his career and sparked a global war. 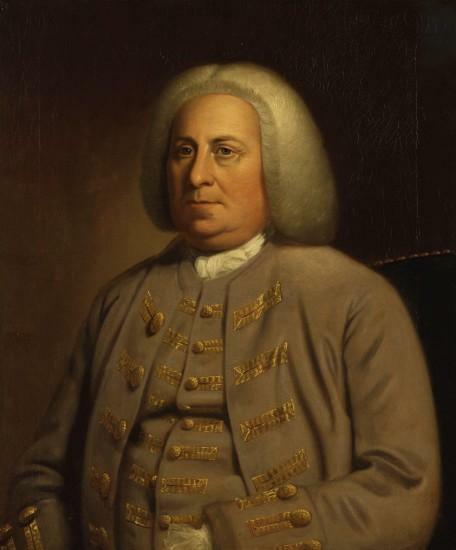 In 1753, Lieutenant Governor Dinwiddie of Virginia ordered a young, ambitious 21-year old George Washington on mission deep into the Ohio Country to confront the French. Washington’s account of his journey to Fort Le Beouf and back made Major Washington a celebrity on both sides of the Atlantic. In 1754 Washington’s surprise attack upon a small French force at Jumonville Glen and his subsequent surrender to French forces at the Battle of Fort Necessity helped to spark the French & Indian War. The following year, Washington accompanied Maj. Gen. Edward Braddock on his ill-fated march on Fort Duquesne. Washington’s French & Indian War experiences taught him many important military lessons that he incorporated into his American Revolutionary War actions. 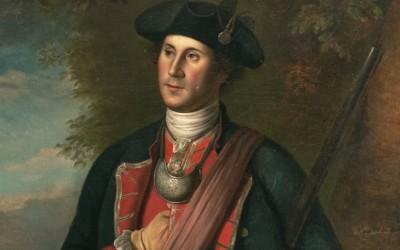 Learn more about George Washington's role in the French and Indian War. Learn more about George Washington’s perilous 1753 mission into the Ohio Valley and the message that he delivered to the French. From his mission to the Ohio in 1753 to his actions at Jumonville Glen and Fort Necessity, George Washington was at the center of the action at the opening of the war. Learn more about Braddock's March and the 1755 Battle of the Monongahela in our interview with the author of the new book Braddock's Defeat. Learn more about the Battle of Monongahela - the battle where Gen. Edward Braddock's forces were defeated and Washington served as aide-de-camp. George Washington's career as a soldier began on the Virginia frontier. Lieutenant Colonel George Washington's surprise attack on a French party at Jumonville Glen ignited the French & Indian War. Historians Fred Anderson and Brett Rushforth describe George Washington's early encounters with Native Americans and his developing views and policies towards these indigenous people later in his presidency. The journal provides a first-hand glimpse of frontier diplomacy, the beginnings of the French and Indian War, as well as early indications of Washington's well-documented physical vigor and leadership. Our map shows the campaigns and locations associated with George Washington's French & Indian War actions in and around the Ohio Valley. 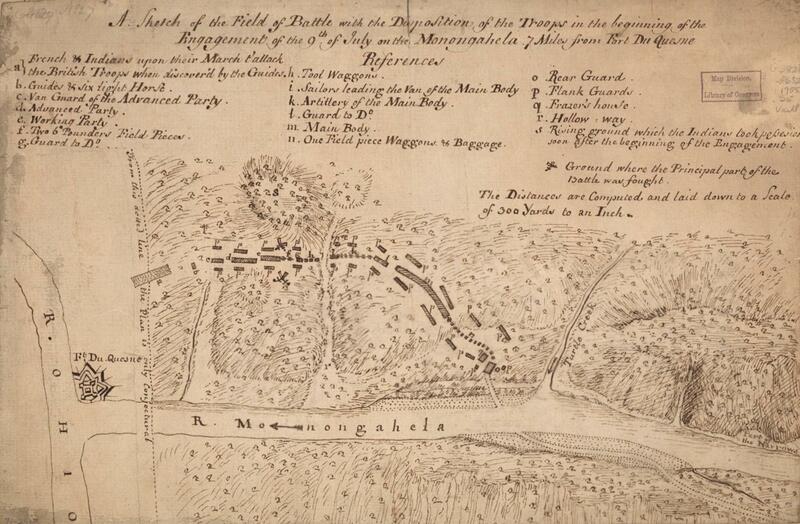 There is also an inset map showing the Battle of the Monongahela. Own your own copy of Maj. George Washington's journal - the document that made him famous on both sides of the Atlantic. This action-packed film is a vivid illustration of defining moments that made George Washington an indispensable leader. Includes powerful sequences showing Washington during the French & Indian War. George Washington learns from failures early in his career and applies those lessons later in life. The House of Burgesses grants 1/3 of a million acres in the Ohio Valley to the Ohio Land Company, a land speculation company made up of Northern Neck planters, including Lawrence Washington, George Washington’s older brother. The Marquis de Duquesne oversees the development of a series of French forts built in the Ohio at key strategic locations. Washington hires Christopher Gist as a guide at the Ohio company fort on Wills Creek. Also hires four men as porters. Washington meets with Captain Jacques Legardeur de Saint-Pierre at Fort LeBouef and presents Dinwiddie’s letter ordering the French to leave the region. 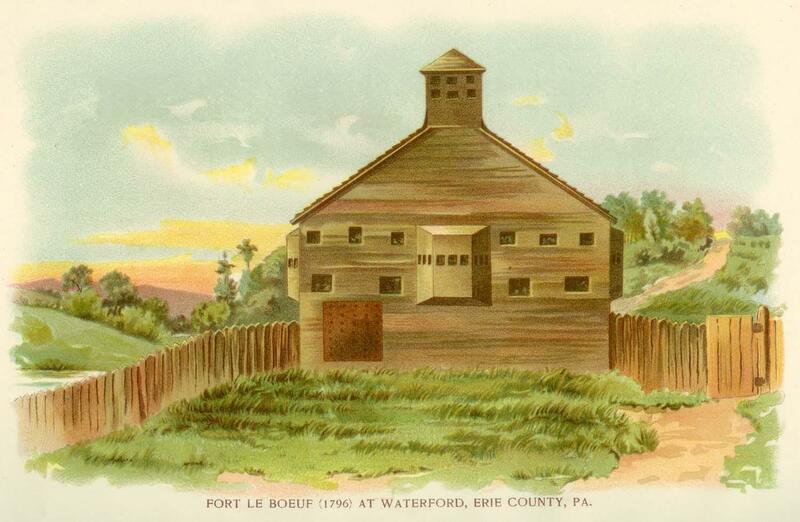 Washington’s party leaves Fort LeBouef with St. Pierre’s response on December 16, 1753. St. Pierre says he will forward the letter to Duquesne. 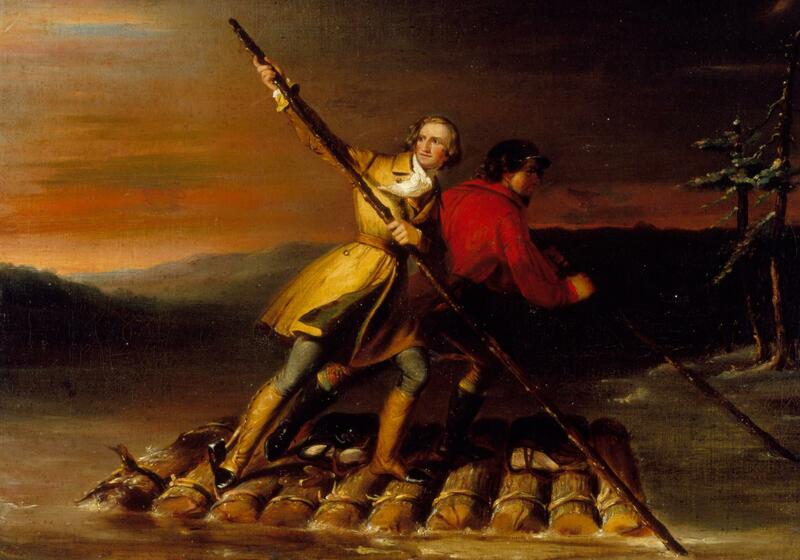 Washington and Gist embark on a dramatic journey back to Williamsburg. Washington is promoted from major to Lt. Colonel and placed second in command. He is authorized to raise 200 men. His mission is to drive the French out of the Ohio Valley. Washington and Tanacharison attack a party of French soldiers led by Joseph Coulon de Villiers, Sieur de Jumonville. 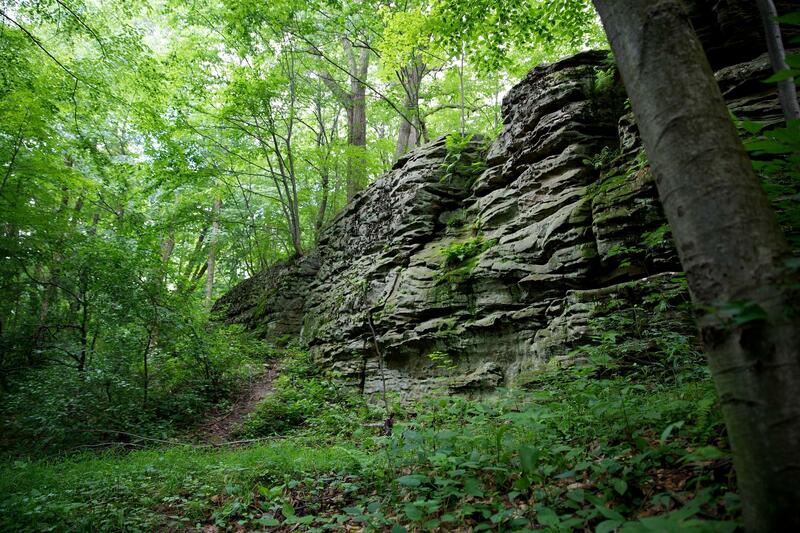 The Indians kill the wounded including Jumonville. The surviving French claim to be on a diplomatic mission. Gen. Edward Braddock and a large force of British regulars set out from Alexandria, Virginia for the long march to Fort Duquesne. Washington volunteers as Braddock’s aide d’camp. Braddocks' British forces, nearing their target of Fort Duquesne, are surprised and routed by a force of French and allied Native Americans. Braddock is mortally wounded. Washington steps in to help rally the remaining forces that subsequently retreat. 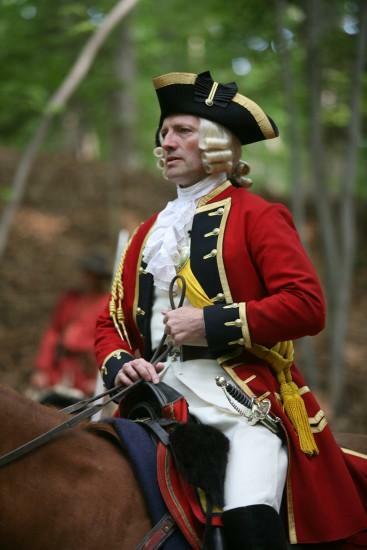 The Virginia House of Burgesses appropriates £50,000 for frontier defense. 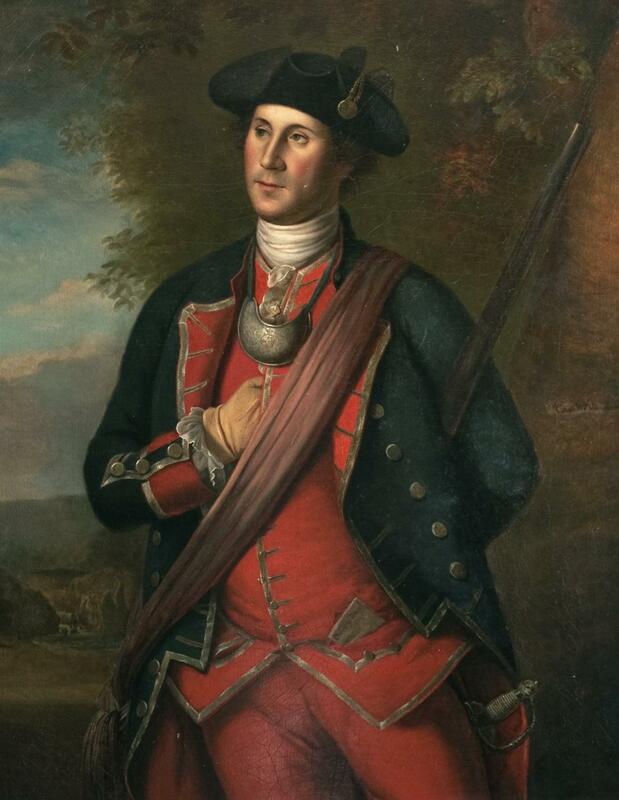 Washington is promoted to a full colonel and is authorized to recruit 1,500 men. 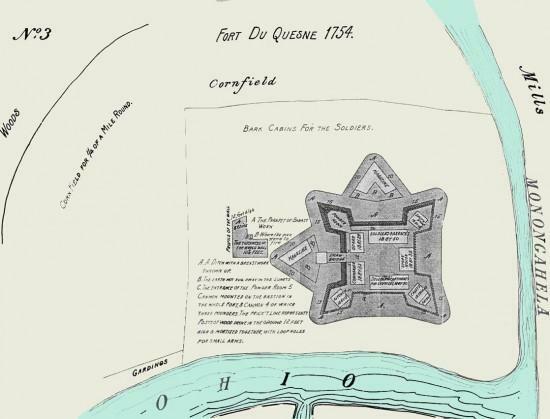 The French blow up and abandon Fort Duquesne. British general John Forbes takes possession of the ground and begins building a new fort to be named Fort Pitt. Washington and his Virginians take part in the successful campaign. Washington resigns his commission in Williamsburg and returns to Mount Vernon. 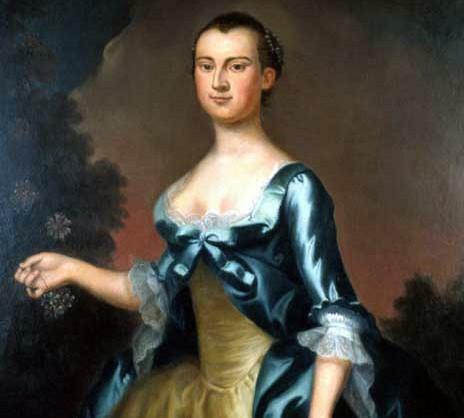 On January 6, 1759 he marries Martha Dandridge Custis. 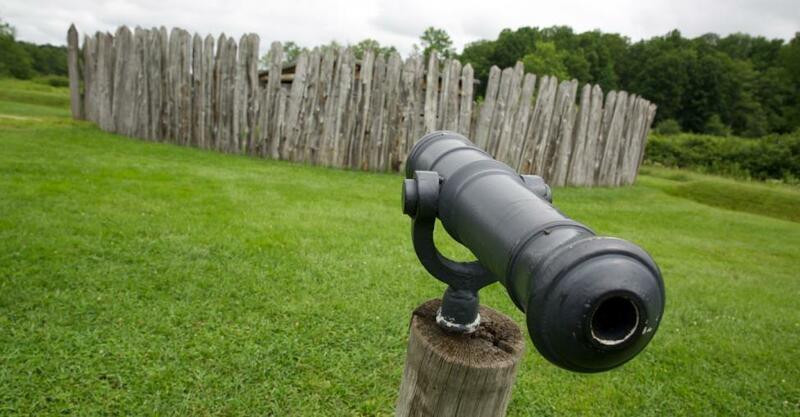 Read the translated terms of surrender signed by George Washington on July 3, 1754, at Fort Necessity. In 1755, George Washington became embroiled in an argument over how his colonial rank compared to royally commissioned British officers. Christopher Gist, an experienced frontier surveyor, accompanied George Washington on his first expedition to the Ohio Country in 1753. In the fall of 1770, George Washington traveled to back to the frontier to see the lands he earned in return for service in the French and Indian War. This 1758 campaign, led by British General John Forbes, was ended with the successful capture of Fort Duquesne at the forks of the Ohio River, modern-day Pittsburgh, Pennsylvania. The Half-King, a Seneca chief of the Iroquois Confederacy, gave Washington an Algonquian name that translated to "town taker" or "devourer of villages." George Washington was an avid surveyor, whose experience charting tracts of land in the Virginia backcountry aided him in the French and Indian War. 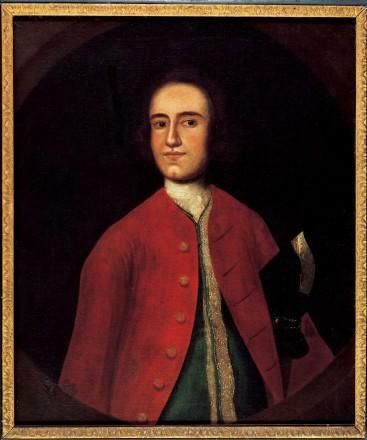 Thomas Cresap was a founding member of the Ohio Company, who helped lay out a portion of the road eventually used by Major General Edward Braddock during his 1755 military campaign.